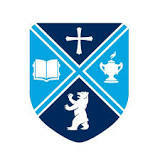 [Stevens Strategy] developed a state-of–the-art comprehensive Institution-wide Policy Manual for Bob Jones University. The policy manual volumes developed included governance and administration, campus community, general institutional employment, faculty personnel, staff and administrative personnel, academics, and students. Bob Jones University…wanted help with ensuring that we meet federal and state mandates and SACSCOC requirements. [Stevens Strategy] did a great job. We found Stephen Lazarus a great resource for whatever questions we asked. He was particularly helpful in our review and update of our by-laws and board manual. As vendors go, and I have had a lot of experience with IT vendors, [Stevens Strategy] is impressive. They already know us well as an institution and have shown themselves to be very knowledgeable in any area of higher ed where they do consulting. The Stevens Strategy team provided us just the level of professional insight that we were in need of and still allowing us the ability to maintain the distinctiveness of Bob Jones University. We received timely and concise advice as well as all the necessary forms to meet the needs of the Executive Committee of the Board. [The] expertise of what to expect in a Presidential Search and what the necessary process that accreditors would expect that the University do to legitimize the search was invaluable… The ability to tailor our process and interview questions to meet the priorities of the Executive Board with guidance instead of dictating terms was again very helpful. The process was handled very professionally and consideration was given for the uniqueness of BJU and the type of candidate that was being sought. The success of any project is best judged by the emotional intelligence of the individuals that completed the project and the outcome achieved and I believe that both of these objectives were met. The process is never easy but the outcomes and support speak for themselves.